The Difference Between Poetry And … Everything Else. A post about what is, or is not, poetry. Excuse me for a moment while I climb onto my soap box again. A few months ago, I wrote a post in which I complained about books which claimed to be poetry, but were actually just a collection of sentences arranged with one word on each line. Today, I’m going to indulge my poetry-nerdiness yet again, in response to another trend I’ve observed on social media. As both a reader and a poet, I get really annoyed when pieces of writing are labelled as poetry when they’re not. This is rife on Instagram, where some folks take a pretty picture of a sentence or a paragraph and call it poetry. They use the hashtags like #poem, #instapoem, #poetry, #poemsofinstagram… you get the idea. I’ve bitten my tongue – or my virtual fingertips – so many times when I’ve wanted to comment that what is pictured is not a poem. I’ve seen letters, paragraphs, and even short stories presented as “poetry”. I’ve seen single sentences tagged “poetry”. In fact, there are books out there with a sentence on each page, which the creators have classified as ‘poetry’. A sentence, a letter, a paragraph… an entire book may be written in highly poetic language. It may use conventional poetic techniques such as imagery or alliteration, but is it poetry? Everything within me screams “NO!”. A letter is a letter. A sentence is a sentence. A paragraph is… prose, not a poem. The issue is one of form. Poetry as a form has conventions of its own that set it apart from a letter or a sentence, or anything else. While it’s true that poetry can take any number of forms or styles, those are forms and styles that are recognised as being poetry. They are not forms that are instantly recognised as something else. I totally accept and agree that a sentence or any other piece of writing can be beautiful. I’ve read individual sentences or paragraphs that have taken my breath away with the imagery or the power of the writing. They can be poetic. But, according to the conventions of one form as opposed to another, they’re not poems. They’re. Just. Not. I’m not trying to be a poetry snob here— in fact, it’s taking no effort at all. I realise I may be coming across as a pretentious git, but let’s look at this from another perspective. I don’t get to call myself an author if I don’t write and publish anything. I don’t get to call myself a doctor because I am not, in fact, a doctor. In terms of professions, we don’t get to call ourselves something we’re not. Alternatively, I could choose to start telling people I’m a cheeseburger. I’ve eaten a few cheeseburgers, I know what they taste like, and I can list the ingredients. And they do say you are what you eat. However, people will fairly promptly tell me I’m not actually a cheeseburger. The more I make that assertion, the more strident people will be in assuring me I’m not. Even if I went to McDonalds or Burger King and sat in the food warmer, it wouldn’t make me a cheeseburger. I am quite obviously not a cheeseburger. If we pretend to be other than what we are, that very quickly becomes a matter of integrity. At first people laugh, then they get frustration, and then they get angry. Trust is broken, and often, walls go up that are not easily dismantled. That is exactly where I am with other pieces of writing masquerading as poetry. I’m well past the point of frustration. If I pick up a book because it says it is poetry, and the contents are nothing more than pithy sayings or observations of life in sentence form, I’m going to be annoyed, no matter how beautifully they’re written. If I wanted a book full of meme-worthy of proverbs and quotations, that’s what I would have gone looking for. Poetry takes time and effort to craft and shape. It isn’t easy to condense the meaning and message into imagery and forms that require skill to master. To write something beyond trite rhyme or greeting card verses is more difficult than many people realise. The ability to do that, consistently and repeatedly, is what makes someone a poet. Poetry is a craft that I take very seriously indeed. That’s why I refuse to “like” posts on Instagram, or anywhere else for that matter, which present one thing as something it’s not. It’s why I am very choosy about what poetry and poets I review and promote on my book blog. It’s why I’m on my soapbox, ranting furiously to anyone who will listen – or read, as the case may be. It’s hard enough getting people to take real poetry seriously these days. We certainly don’t need to confuse people any further. Songs and Poetry: Sometimes it’s hard to tell the difference. In an earlier post, I referred to song lyrics as being a form of poetry. There are many songwriters who write deeply poetic songs. Elton John and Bernie Taupin, John Lennon and Paul McCartney, Paul Simon, Billy Joel— they are among the greats. Today, singer/songwriters like Ed Sheeran and Katy Perry are among the artists whose songs contain some incredibly powerful poetry. While it might be fun to come up with more examples, I have no desire to try to list them all – I don’t even think that’s really possible. Chances are, some who make my list might not be included in yours. I just named a few to get you thinking. While many songs rely on a catchy hook or a beat that makes people want to dance, it’s the poetry of others that gives them the power to move a person emotionally, or to profoundly affect someone’s thoughts and actions. Consider the influence John Lennon’s ‘Imagine’ had on an entire generation. Similarly, Simon & Garfunkel touched hearts and lives worldwide with the soaring power of “Bridge Over Troubled Water”, while the poignant emotion of Elton John’s “Candle In The Wind” or “Sorry Seems To Be The Hardest Word” is still hard to resist. I don’t know if this happens to everyone, but poetic songs seem to attach themselves to part of my soul and remain there, indelible and timeless. This line of thinking led me to trying to work out which song contains my favourite “song poetry”. That’s actually a really tough question, so I decided I’d listen to a few of my favourites and try to narrow it down. This song is a brilliant extended metaphor about identity and finding one’s place in the world. The contrast between a rock or an island with the vulnerability of being human, and the paradox of isolation being a form of sanctuary, are ideas which should be jarring, yet they are delivered with such finesse that we’re left thinking, “I totally get that!” They’re ideas and images we all understand, and the poet communicates uses a depth of emotion and human experience to say things that many other people could never bring themselves to verbalise. The clincher for me is the final verse. “I have my books and my poetry to protect me.” That’s exactly what I do! I retreat into fictional worlds. I write stories and poems that help me to deal with life. I use poetry to crystallise my thoughts and feelings, and use my writing to communicate what it’s hard to say any other way. As I was reflecting on that final verse, a poem I wrote last year came to mind. I’m not suggesting that I think I’m as good as Paul Simon, but it does explore similar ideas of hiding behind – or within – the books and words I have written. It was written during a time of great personal conflict and turbulence, and expresses the refuge I found in my writing. In different poems written during this period, I portrayed myself at different times as a fighter, as a hostage, and as a traveler. At no time did I portray myself as willing to surrender to the storm that raged around me, nor to anything else that tried to do me in. In my writing, I was strong. I was safe. When I went back to read that poem as part of the process of writing this post, I was stunned to discover the similarity of the ideas to those explored by Paul Simon, even though my poem was neither based on nor drawn from his lyrics. I was also confronted by the warning of the last two lines. I have to take care when I feel or experience something, or when I write something powerful, that I can’t afford to unpack and live there. I still have to live my life and be who I am, and I still have to deal with whatever life throws at me. After all, I am neither a rock nor an island, no matter how much I might sometimes wish I were. 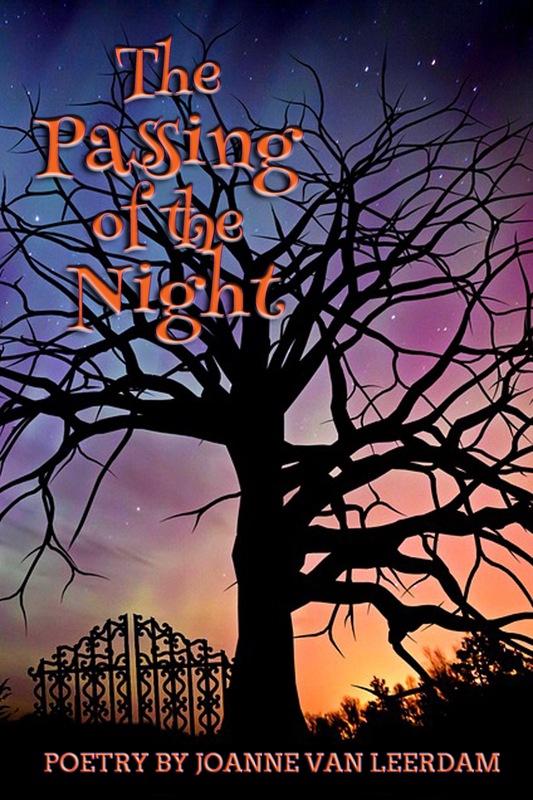 ‘Safe’ is published in my book, ‘The Passing Of The Night’.